The Traditional Three Drawer & Two Glass Door Server & Hutch. This beautiful server has the modern clean lines that look great in any decor. The drawers and doors are inset within the face frame of the unit. Drawers ride on Euro Glides for easy opening and closing. 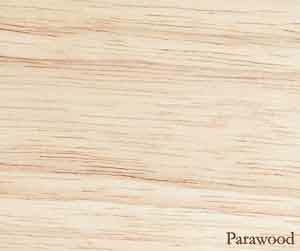 Being made from parawood, an excellent hardwood, this item is guaranteed to last. Its ample storage and size provide the ideal storage and work area in the kitchen or living room.